That should be our message to legislators as they head home for their Spring Break and meet with constituents in their districts. It’s also my message to you. Drive over our washboard-like roads pocked with potholes the likes of which previously were seen only by lunar exploration vehicles, meet with your legislator, and demand he or she do something about our roads, our schools and our future. The research couldn’t be more clear. The Michigan School Finance at the Crossroads report by Dr. David Arsen documents a quarter-century of decline in our schools, finding Michigan last in the nation in new dollars invested in education since 1995. Dead last. Over the same time, our student performance has fallen to 41st among the 50 states in fourth-grade reading. The School Finance Research Collaborative report demonstrates that our school funding system is broken, inequitable and alarmingly ineffective at meeting the needs of children at risk, English-language learners and special needs students. Gov. Gretchen Whitmer is paying attention. Her budget proposed to the Legislature will invest an additional $2.5 billion in our roads and, in so doing, free up money in the general fund currently dedicated to potholes and the money transferred from the K-12 School Aid Fund to finance higher education. Her budget reflects portions of the School Finance Research Collaborative report. It will increase reimbursements for mandated services to special education students, the first such increase since the adoption of our current formula. Brian Calley, former lieutenant governor and now president of the Small Business Association of Michigan, headed up a 2016 study that found a $692 million deficit in special education reimbursements that, on average, drained $460 per pupil from every classroom in the state. 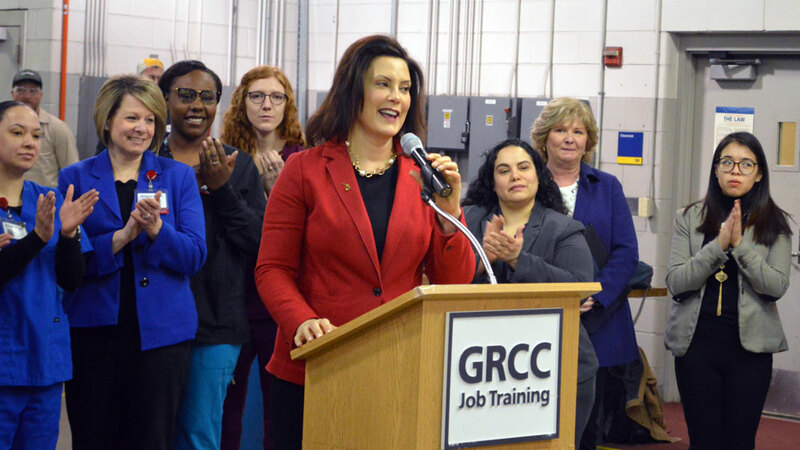 Whitmer’s budget increases funding for economically disadvantaged students, as recommended by the SFRC as crucial if all children are to reach proficiency on Michigan academic standards. It proposes additional resources for students pursuing career and technical education while in high school. And it provides more funds for districts at the base foundation grant level to further the goal of bringing all districts to a per-pupil base funding of $9,590, as recommended by the SFRC. As you make your jarring jaunt to see your legislator, dodging potholes and enjoying a ride that feels as though you’re driving on railroad ties, think of this: Tell your legislator the Arsen report found we could afford every recommendation in the SFRC report, and still have nearly $2 billion left over to fill the potholes you’re dodging, if we just maintained our tax effort at 2007 levels. Every organization engaged in the education discussion in the state — Business Leaders for Michigan, Education Trust-Midwest, the Michigan Board of Education, Launch Michigan and others — have a goal of making Michigan more like Massachusetts, the top performing education state in the nation for many years. Tell your legislator we are far more like Mississippi than we are Massachusetts and we’re headed south every day. Tell your legislator your cars are falling apart, with an average annual repair rate of $648 per vehicle because our roads are crumbling. The research says you’re paying more in repairs than you’d ever pay under any proposal to increase revenue for Michigan’s roads. Tell your legislator Michigan’s third-graders are last in the nation in their increased performance on the National Assessment of Education Progress because our state is last in the nation since 1995 in our increased investment in their future. I have never spent $648 in repairs on my vehicles because of pot holes (and before I get accused of not driving much, I have 60,000 plus miles on my primary vehicle and 120,000 on a vehicle I use for recreation). However, I have recently spent $60 to fill up the tank of the vehicle I drive to work every day. I am not anxious to spend more every week on a gas tax to fix potholes that should have been fixed the last time we voted money for their repair. I would like to know where the funds designated for road repair went and I would like a guarantee that additional funds wouldn’t ‘disappear’ leaving with potholes and the highest gas bills in the nation before I come close to being in favor of this new tax!